At the Eastern Economic Forum this month, Russian President Vladimir Putin told Japanese Prime Minister Shinzo Abe, “Let’s conclude a peace treaty before the end of this year, without any pre-conditions.” PM Abe did not reply directly. Some media outlets wrote that Putin was merely “trolling” the Prime Minister. The Japanese government later stated that their position on the Kuril Islands has not changed. The majority of Japanese polled said that they did not support the idea of “no pre-conditions”. Russia and Japan have still not signed a peace treaty, even though World War II ended 73 years ago. Japan and the Soviet Union restored diplomatic relations in October of 1956. The Sputnik satellite was launched in October of 1957. The landmark Japanese tokusatsu movie “The Mysterians” came out in late December of 1957 for New Year’s Holiday. “The Mysterians” is a tokusatsu treasure. It’s so exciting, polished, and fresh! I’ll analyze the topic of Japanese-Soviet relations up to 1956, because the issue was on the minds of many people in Japan in the two years before this. I’ll examine the agreement the two countries signed in 1956, and then what the obstacles are to a future peace treaty. Check Kaijuvision Radio at noon Eastern next Wednesday to listen to this incredible episode for an incredible movie! 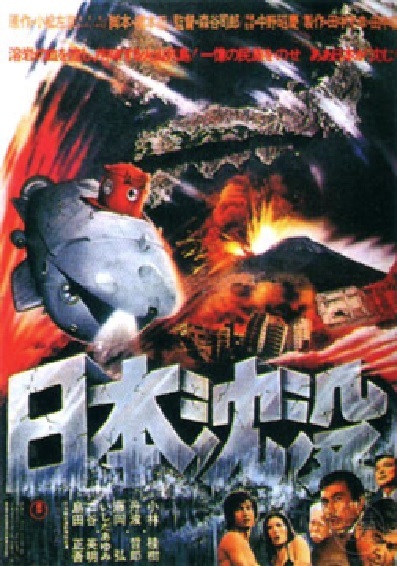 Season 2 at Kaijuvision Radio begins with the first non-Godzilla kaiju film from Toho Studios. This Japanese take on the Abominable Snowman phenomenon is a story about the dark side of humanity. The Japanese cut of the movie is effectively banned in Japan because of its depiction of the Ainu people as savages. I find interesting parallels between this film and Disney’s “Song of the South” (1946), as well as “Boggy Creek II: And the Legend Continues” (1984), which was made famous by Mystery Science Theater 3000. The related topic is The Genetic Origin of the Ainu People. This episode is dedicated to the great Ishiro Honda. I’d like to send a shout-out to our patron Sean Stiff for donating at the Kaiju Visionary level. Thank you for your support! I really appreciate it. Video Notes: The clouds in this video are part of the west edge of the remnants of Hurricane Florence, taken on September 17, 2018 in Fort Wayne. We wish a speedy recovery to everyone effected by this disastrous hurricane. Only one more week until Kaijuvision raids again! I am working hard to create episodes for our exciting Season 2 of spectacular non-Godzilla Toho movies. Check out the recent entries on the website for the Season 2 DVD guide and the list of all of the fun Japanese films that the kaiju community loves. Also visit the Patreon site to donate to the cause of this unique and high-quality kaiju podcast. Currently donations are not covering the data transfer fees to distribute the episodes. Donors get the inside track on what’s going on with the podcast. Extra features, pictures, and content are included! Episode 38 will debut at 12:00pm on Wednesday, September 19th!! On September 19th, Kaijuvision Radio will begin its 2nd season. Now that the Godzilla journey is over, it’s time to visit the kaiju we didn’t get to last season. In this new chronological journey, I’ll be tackling many of the classic Toho sci-fi movies that don’t have Godzilla in them. That includes non-Godzilla kaiju movies as well as non-kaiju tokusatsu movies. The time period is 1955-1977: 22 years of fun, fantastic, and underrated Toho classics. There will be episodes for the new Godzilla movies as they come out too. Kaijuvision is sticking with the creative community that brought us the Showa Godzilla movies, including Ishiro Honda, Tomoyuki Tanaka, Shinichi Sekizawa, Akira Ikufube, Masaru Sato, and Teruyoshi Nakano. Of course we get to see many of Toho’s contract actors like Akira Takarada, Kumi Mizuno, Akihiko Hirata, and Takashi Shimura. We even get to see Toshiro Mifune in this season! 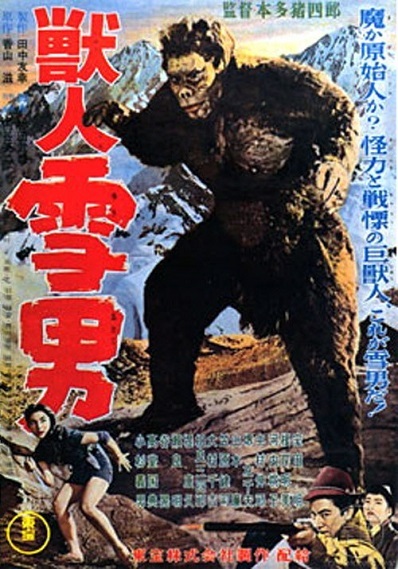 Haruo Nakajima often played the kaiju depicted in these movies. I love the concepts and ideas that these movies present to the viewers. These movies are intriguing and fascinating. They make you want to watch them again and again. Almost all of them are in wonderful color, and many are filmed in Tohoscope. Additionally many of Toho’s best actors were in these films. In contrast, American sci-fi movies were often relegated to black and white film, and good actors often avoided them. These films are not only interesting, but they’re also culturally relevant. They tap into the Japanese cultural zeitgeist like many of the best Godzilla movies do. Since Kaijuvision excels in examining these kinds of connections, they make perfect sense to analyze. What’s great is that these movies are more available and more affordable than they ever have been before. Many of them used to be “rare DVDs”. The DVD guide for these movies came out last week, so check out where to buy them. As current listeners know, Kaijuvision Radio prefers the Japanese versions with English subtitles. It’s much closer to the real thing than these sometimes horrific English dubs. So strap yourselves in for another season of movie greatness! Half Human (1955), The Mysterians (1957), Varan (1958), The Three Treasures (1959), Battle in Outer Space (1959), The Last War (1961), Gorath (1962), Matango (1963), Atragon (1963), Dogora, the Space Monster (1964), Frankenstein Conquers the World (1965), War of the Gargantuas (1966), Latitude Zero (1969), Space Amoeba (1970), The Submersion of Japan (1973), War in Space (1977).